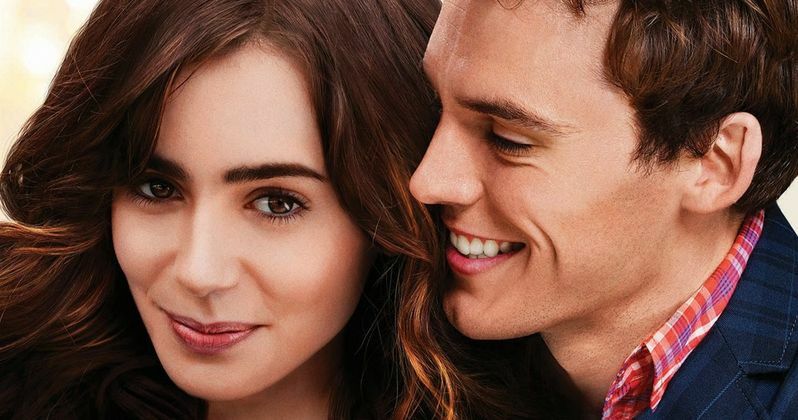 The heartwarming comedy-of-errors Love, Rosie makes its DVD debut May 5, 2015 from Paramount Home Media Distribution. Starring Lily Collins (The Blind Side, Mirror Mirror) and Sam Claflin (The Hunger Games: Catching Fire, The Hunger Games: Mockingjay Part 1), the delightful romantic comedy is based on the bestselling novel by Cecelia Ahern. We have a contest lined up where our readers can take home copies of this new DVD and the book this romance is adapted from, with one grand prize winner taking home the book plus a DVD signed by Lily Collins. Since the moment they met at age 5, Rosie (Lily Collins) and Alex (Sam Claflin) have been best friends, facing the highs and lows of growing up side by side. A fleeting shared moment, one missed opportunity, and the decisions that follow send their lives in completely different directions. As each navigates the complexities of life, love, and everything in between, they always find their way back to each other-but is it just friendship, or something more? The supporting cast includes Tamsin Egerton, Suki Waterhouse, Art Parkinson, Christian Cooke, Alisha Heng, Jaime Winstone, Nick Lee and Lily Laight. Christian Ditter (How to Be Single) directs from an adapted screenplay by Juliette Towhidi (Calendar Girls). Take a look at how you can win this DVD below.